To produce a successful sales conference for the client to deliver clear messages and brand values consistently across the main plenary and satellite breakouts. To then transform the conference space for production of an exciting and motivational themed awards dinner and after show party – this coincidentally was held on Friday 13th! 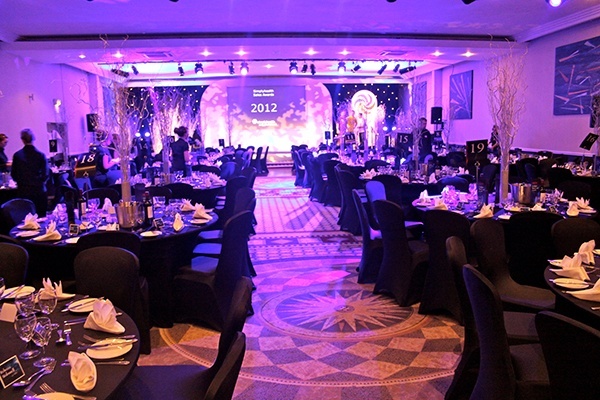 To design a look and feel for the event which would work within the limited space and time plan available at the venue. Strict brand guidelines for the business had to be taken into consideration. The date of Friday 13th would have to be considered in the theme for the evening event – without lapsing into a horror theme. The delegation was targeted towards a younger age group – so theme and entertainment needed to appeal to this audience. Penguins produced a series of cohesive stage designs which shared similar colours, shapes and branding which could suit individual breakout sizes and requirements. In particular the main plenary also had a modular design allowing us to re-position set elements and create a very different feel for the evening awards. 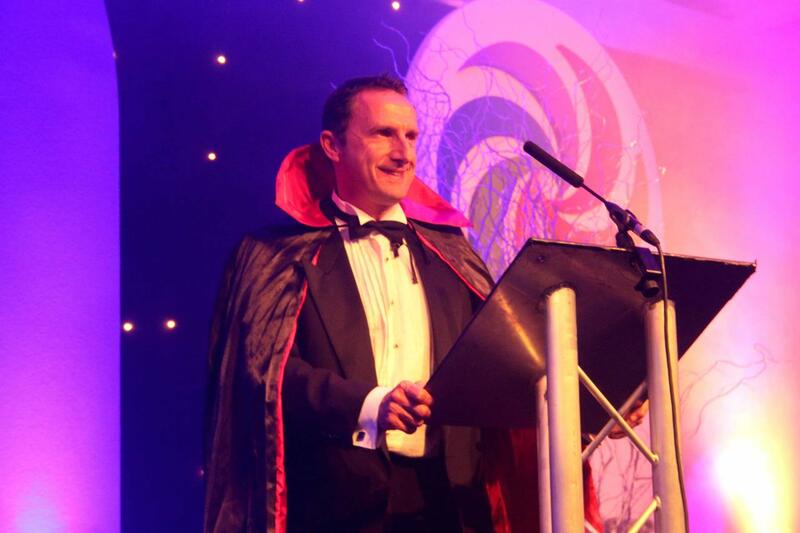 The use of a Twilight Ball theme enabled us to produce a glitzy awards dinner, with night sky effects, silver birch trees, haze and moonlight lighting, whilst the guests also had broad scope for dressing for the dinner - a range of ghouls & ghosts all making an appearance. The evening started with some vampire themed “freerunners” – who literally exploded onto the stage with a series of backflips and acrobatic lifts. The awards included over 20 categories, yet were carefully scripted to be both slick and impactful. The evening then concluded with our very own visual DJ, mixing multi-media images of twilight theme visuals with photos of the guests and live music videos.